It’s the 2012 version of the “Blue Marble“! Here’s an amazing new high-definition portrait of our planet, made by NASA’s Suomi NPP satellite launched back on October 28. This is a composite image created from multiple scans taken with the satellite’s Visible/Infrared Imager Radiometer Suite (VIIRS). The Suomi NPP satellite. Click for animation. Suomi NPP is the first satellite designed to collect critical data to improve short-term weather forecasts and increase understanding of long-term climate change. 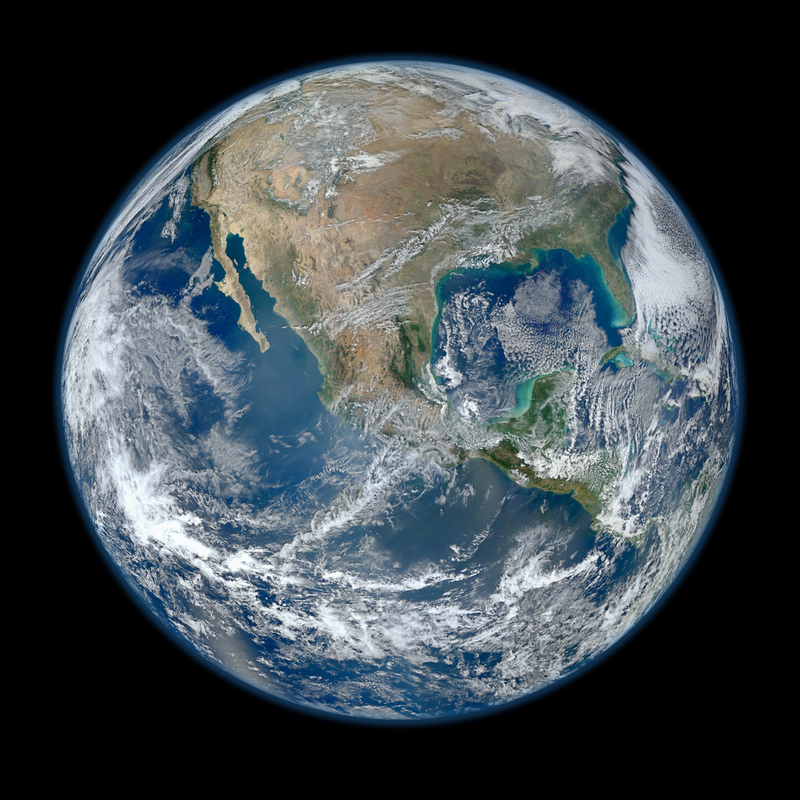 It orbits Earth about 14 times each day and observes nearly the entire surface. Learn more about the Suomi NPP satellite here. Previous Post Solar Storm in Progress!